The cooperation between the US and Pakistan has recently been put to the test as Donald Trump accused Islamabad of supporting terrorists. In response, the Pakistani authorities canceled a planned visit by a representative of the State Department. Sputnik attempts to identify the real reason behind the fall out between the two long-term allies? On August 21, during a speech at Fort Myer in Arlington, Virginia, US President Donald Trump announced Washington's readiness to change its approach to relations with Islamabad if the Pakistani side continues to support terrorists. 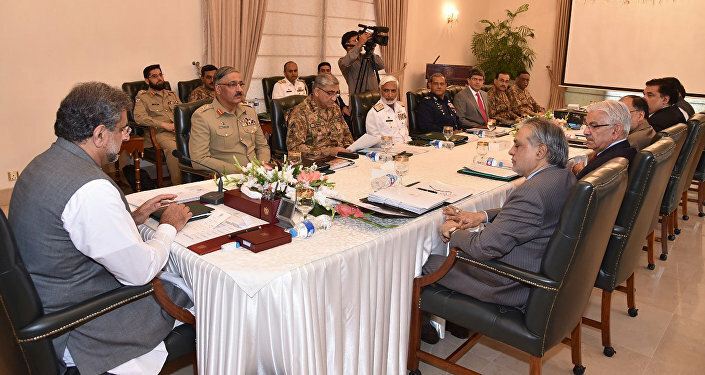 “The next pillar of our new strategy is to change the approach in how to deal with Pakistan. We can no longer be silent about Pakistan’s safe-havens for terrorist organizations,” Trump said. Such a direct accusation of sponsoring terrorism provoked Islamabad's response, and the Pakistani Foreign Ministry said that the criticism from US President Donald Trump is disappointing. Pakistani politician Imran Khan in an interview with CNN said, “[One] hundred and fifty thousand North Atlantic Treaty Organization (NATO) and American troops have failed to tackle the small number of Afghan insurgents” and recalled the sacrifices his country made in the fight against terrorism. “Pakistan remained an ally to the USA after 9/11 and ended up losing over 70,000 people and $100 billion to the economy,” Khan said. In addition, Islamabad criticized the new strategy of the White House in Afghanistan. As Pakistani Prime Minister Shahid Khaqan Abbasi said in an interview with Bloomberg, Washington's new plan of action in the region will not work. Former CIA officer Phil Giraldi noted in an interview with RIA Novosti that if Donald Trump really plans to take a tougher stance towards Islamabad, NATO risks losing an important supply route for its military contingent to Afghanistan because a lot of supplies are transferred to the US Armed Forces in Afghanistan through Pakistan. However, it seems like Trump's accusation against Islamabad is a consequence, rather than a cause, of political cooling between the partners. Contradictions between the US and Pakistan have long been accumulating. “The US-Pakistani alliance has already suffered serious damage, beginning with the elimination of Osama bin Laden by US commandos in Pakistan in 2011,” Vyacheslav Belokrenitsky, deputy director of the Institute of Oriental Studies of the Russian Academy of Sciences said in an interview with RT. It should be noted that anti-American sentiments are very strong in Pakistan. According to a poll conducted by the Gallup Institute in 2015 in 135 countries, Pakistan is among the top 10 states that have the worst attitude toward the US and their international policies: 65 percent of Pakistanis do not approve of Washington's actions. “This, as well as a number of other incidents, markedly worsened relations between the military of Pakistan and the United States. Now in Pakistan only 10-12 percent of the population has a positive outlook about the US,” Belokrenitsky added. This distrust of Washington led, among other things, to the fact that in 2015 the authorities of Pakistan categorically refused to reduce their tactical nuclear capabilities at the suggestion of the White House. Some experts in an interview with RT revealed that the true reason for this fallout between Islamabad and Washington is not related to terrorism, but rather to the growing influence of China in Pakistan. In recent years, Beijing has been increasingly influencing the regional alignment of forces. It is this expansion of Pakistani-Chinese contacts that allows Islamabad to pursue a more independent policy toward Washington. The US seems dissatisfied with this growth of Chinese influence in the region especially against the backdrop of the escalation of the Sino-US contradictions over the disputed islands in the South China Sea, North Korean issues and also on trade and economic issues. As part of its “One Belt, One Road” project Beijing is pumping $55 billion into its neighbor: Pakistan is building power plants, roads and railways to give its infrastructure a much-needed upgrade. According to The Financial Times, estimates from the Pakistan Business Council suggest the projects could account for 20 percent of the country’s GDP over the next five years and boost growth by about 3 percentage points. “Preconditions for fallout between the United States and Pakistan existed for a long time,” political analyst Boris Volkhonsky said in an interview with RT. 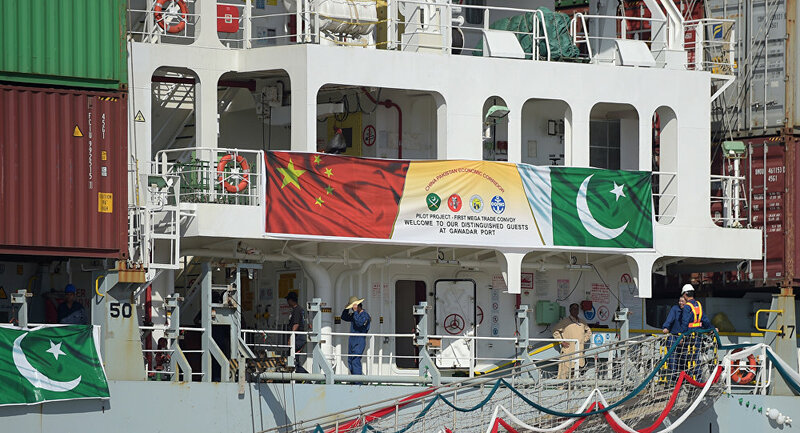 “Islamabad has long and steadily reproached with Beijing and now it is China that is becoming the main investor in connection with the construction of the Sino-Pakistani economic corridor. And this, of course, does not suit the US at all – this is the real cause of friction, not Islamabad's policy in Afghanistan,” Volkhonsky said.